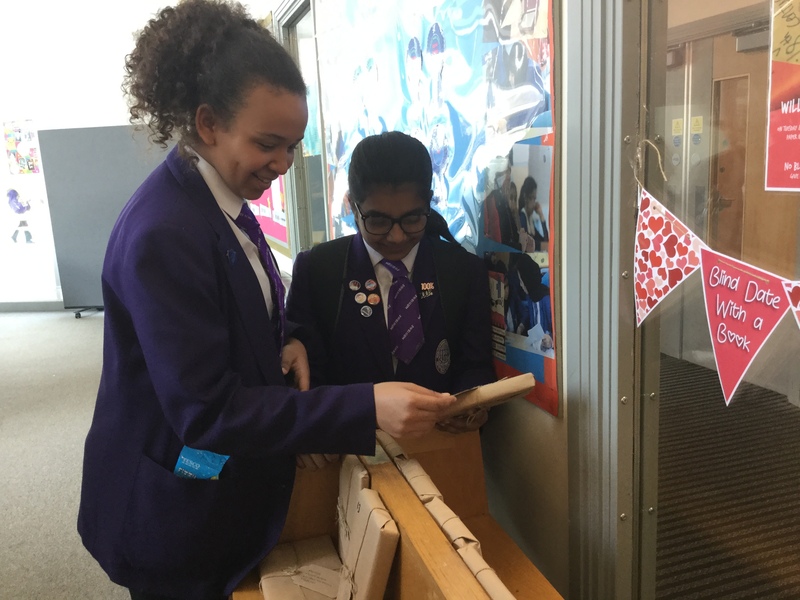 In a bid to encourage students to widen their reading selection ‘Blind Date with a Book’ took place on Tuesday 8th May 2018. A selection of books were wrapped in brown paper, and a small label attached with a few bullet points about the book. Students were then encouraged to select a book based on this information only. They were unable to see the cover, or read the ‘blurb’. Their choice made solely on the brief information on the label. No blurb, no cover, no judgement. The event was a huge success, we sold out of books at break! The queue was immense and there was a real buzz in the library. It was fantastic to see students so excited about borrowing books.